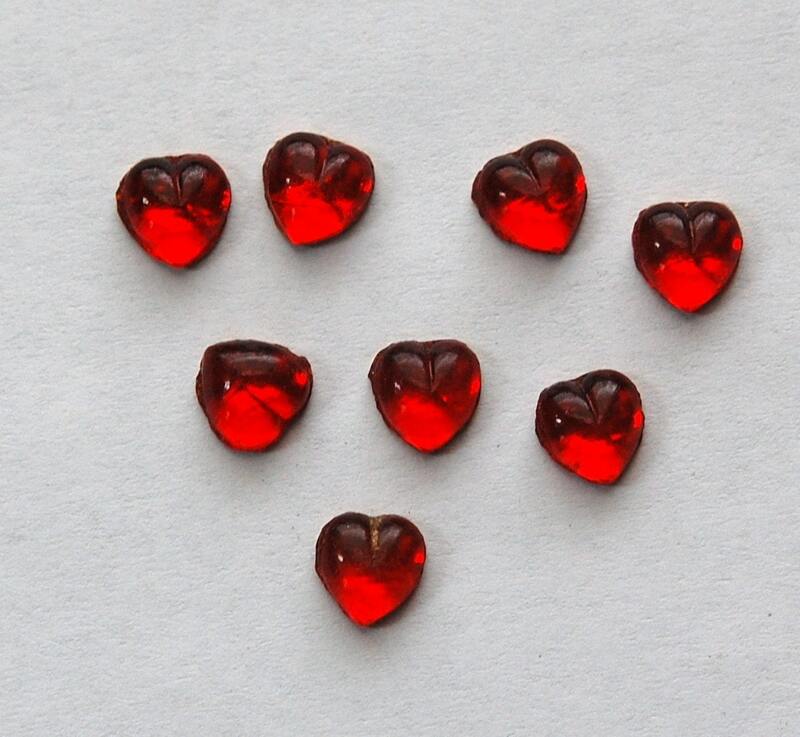 These are sweet little vintage glass hearts. They are ruby color with a gold foil back. These measure 7mm. You will receive 8 pieces. A completely perfect transaction. Thank you! Beautiful red! Love them! Thank you so much! Very nice! Good quality. I'm happy.